The bitter flavor of turmeric adds complexity (and antioxidants!) to this refreshing summer-friendly gluten free cocktail. 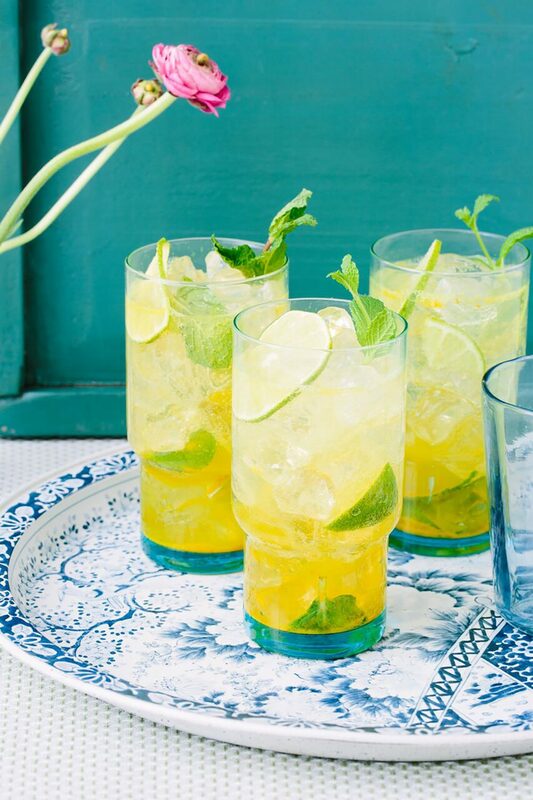 Combine the mint leaves, lime juice, coconut sugar, and turmeric in a collins glass. Using a muddler or the handle of a wooden spoon, muddle the ingredients until the sugar is dissolved and the mint is fragrant. Fill the glass two-thirds of the way with crushed ice. Add the rum, stir to combine, then top with tonic water. Garnish with more mint and the lime wheel.